Vathal Kolambu is a delicious South Indian dish. 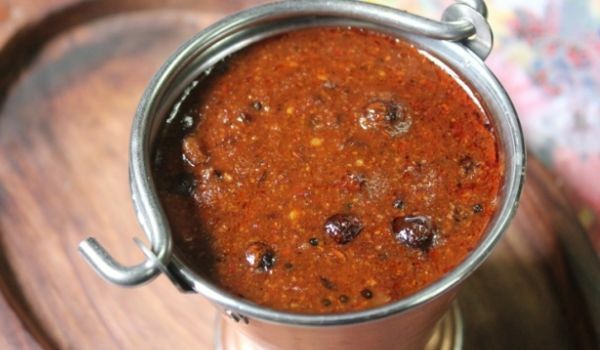 Learn how to make/prepare Vathal Kolambu by following this easy recipe. Fry mustard seeds, curry leaves, black gram and asafoetida properly. Mix chopped vegetables and fry again. Add salt, chilly powder & tamarind paste. Stir the mixture. Add water and simmer the contents properly. Now add rice powder paste. Add fried fenugreek powder & coriander leaves. Mix well.